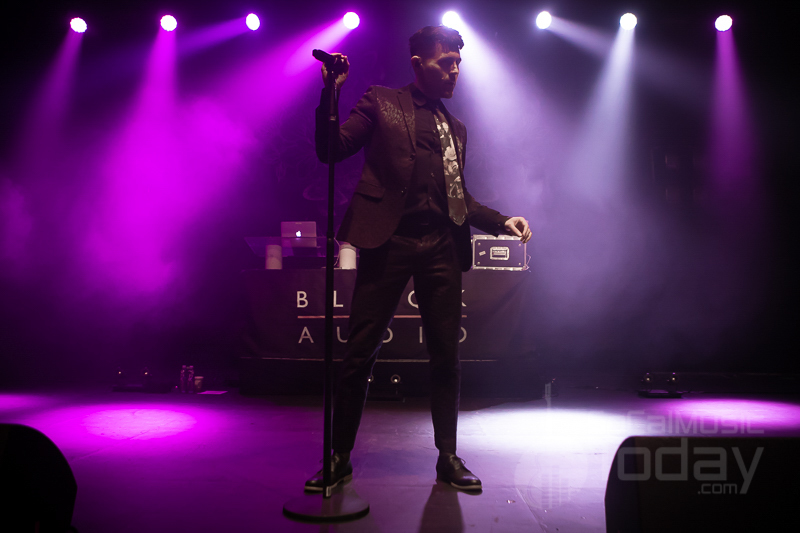 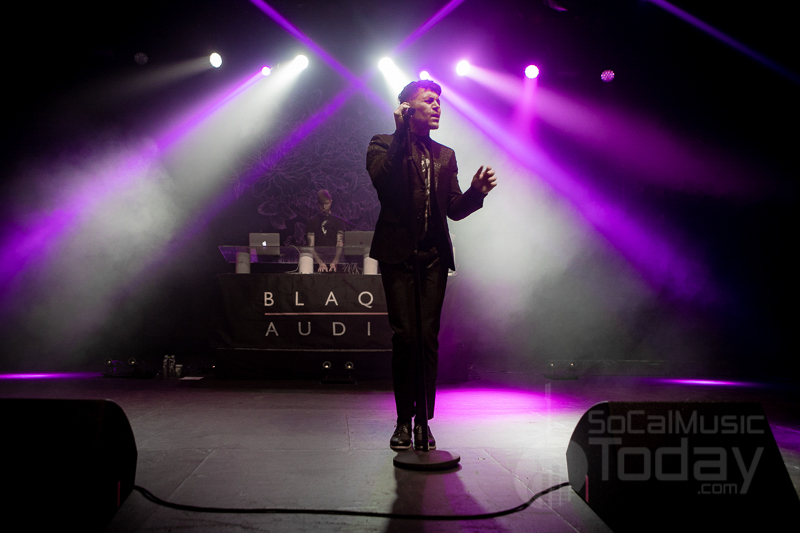 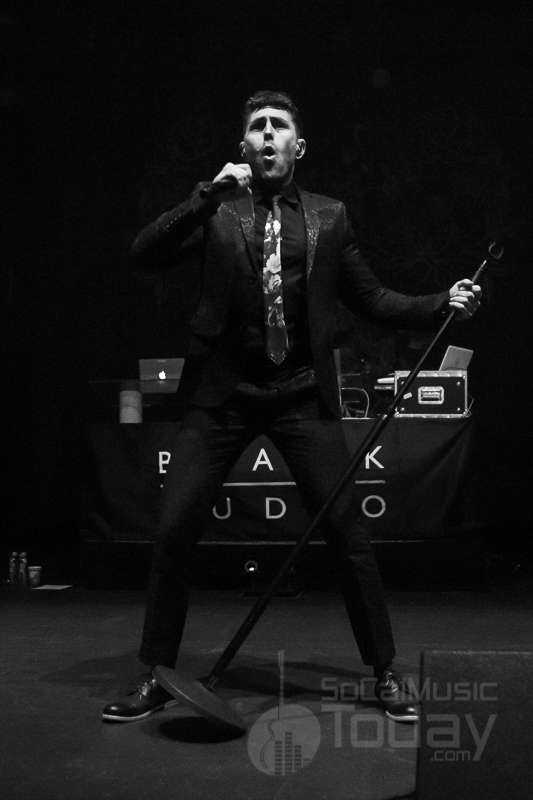 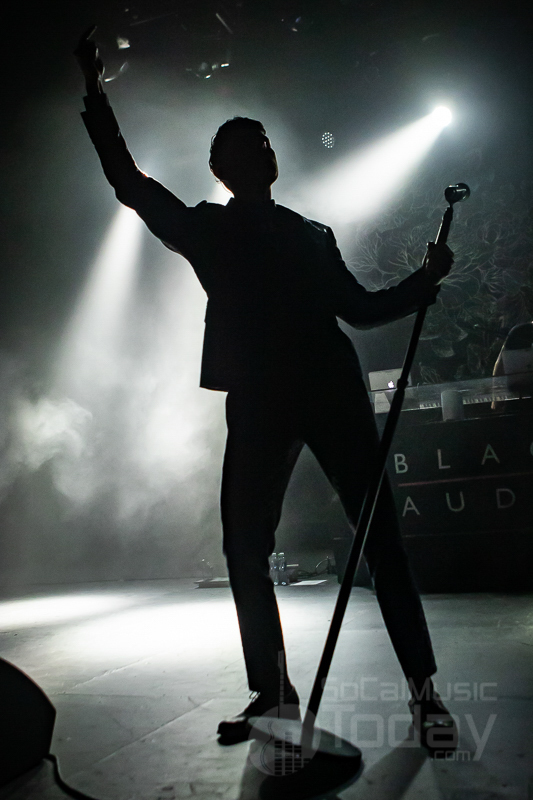 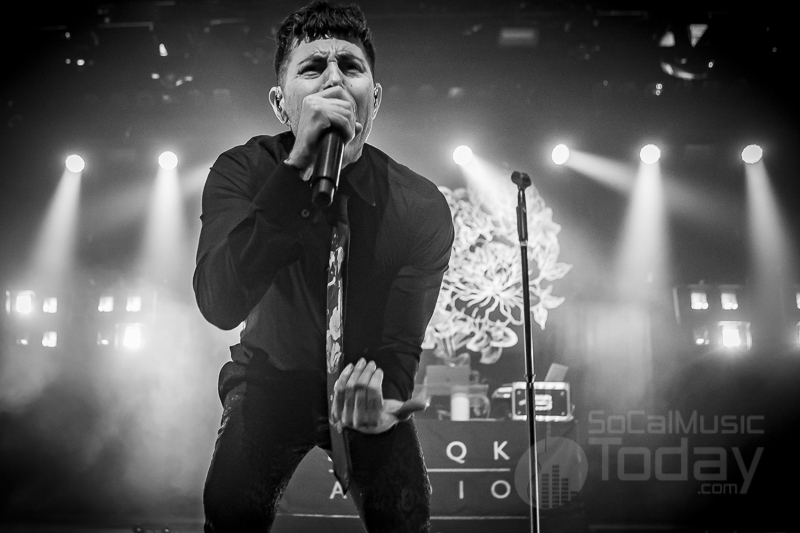 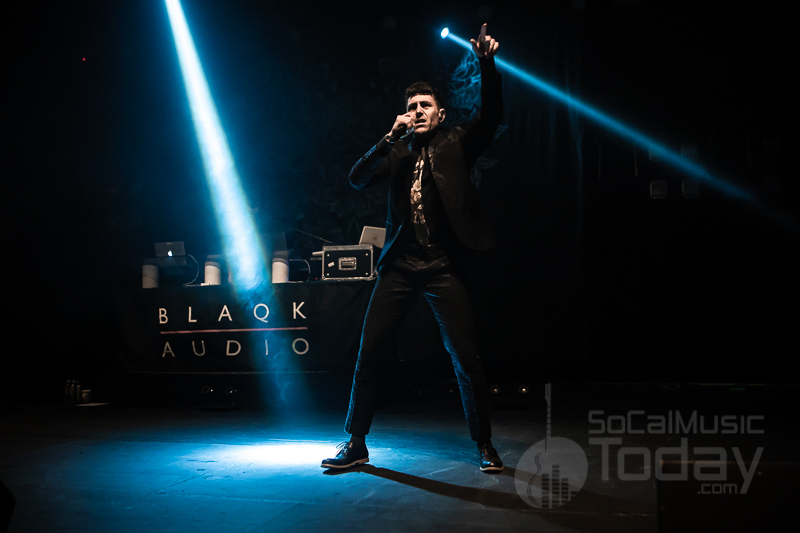 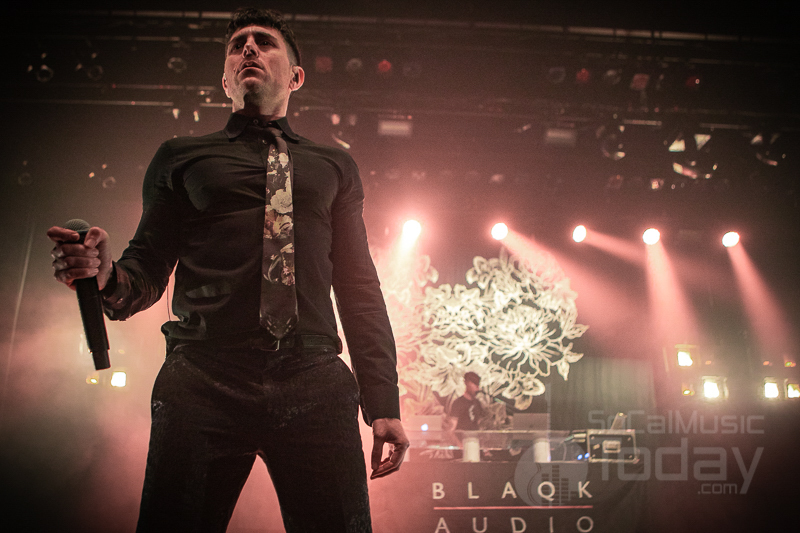 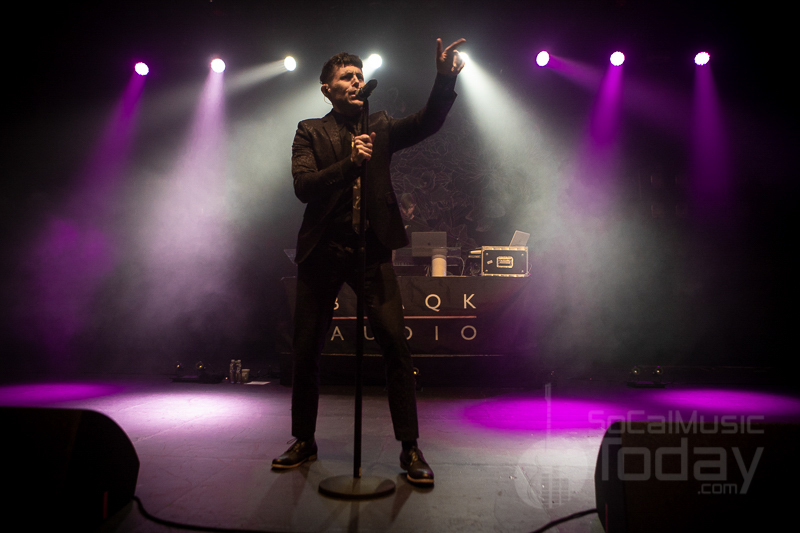 On the eve of the release of their 4th studio album Only Things We Love, Blaqk Audio kicked off their spring tour in San Diego at the Observatory North Park on Thursday, March 14th. 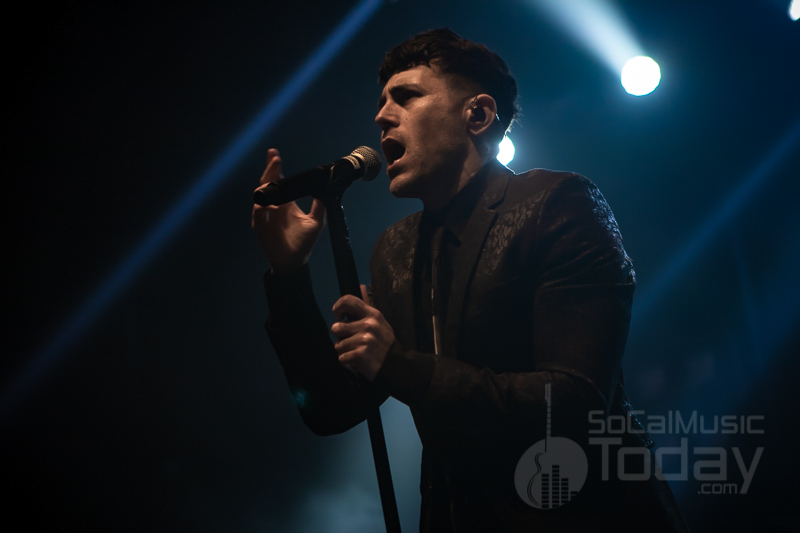 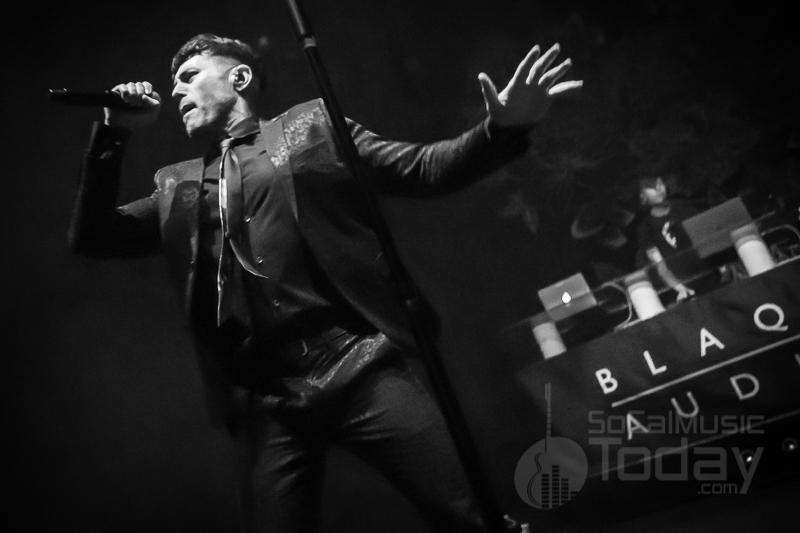 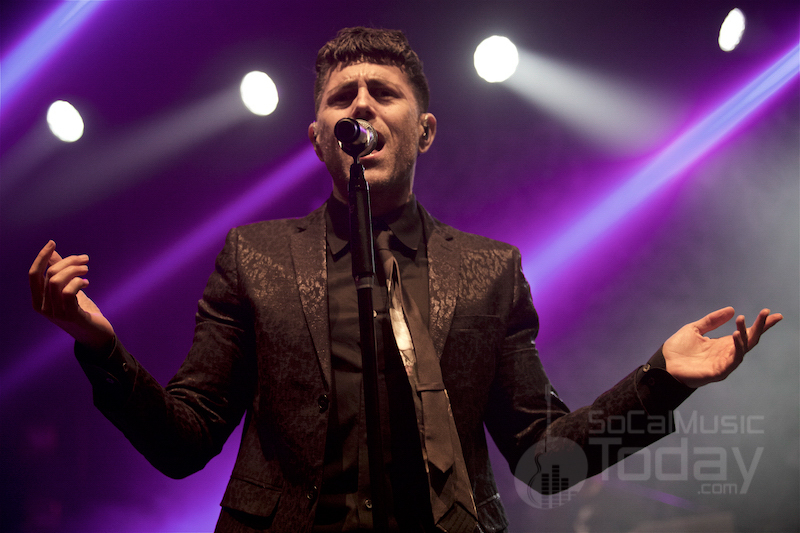 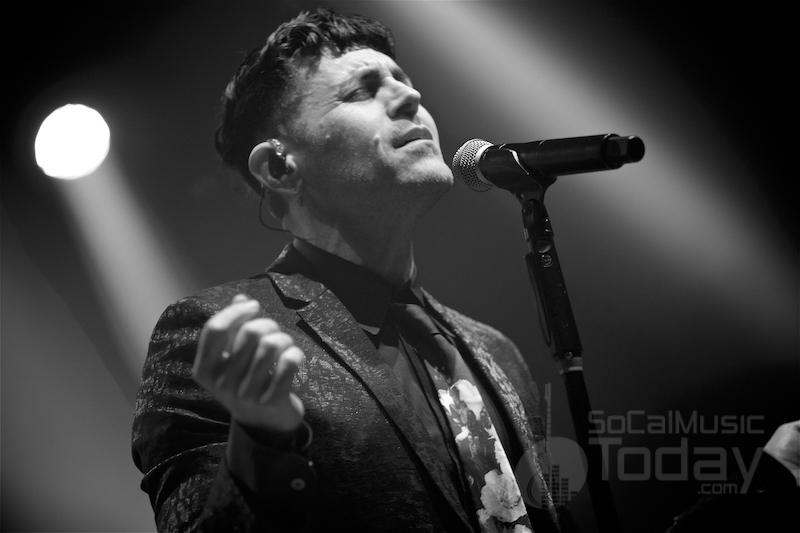 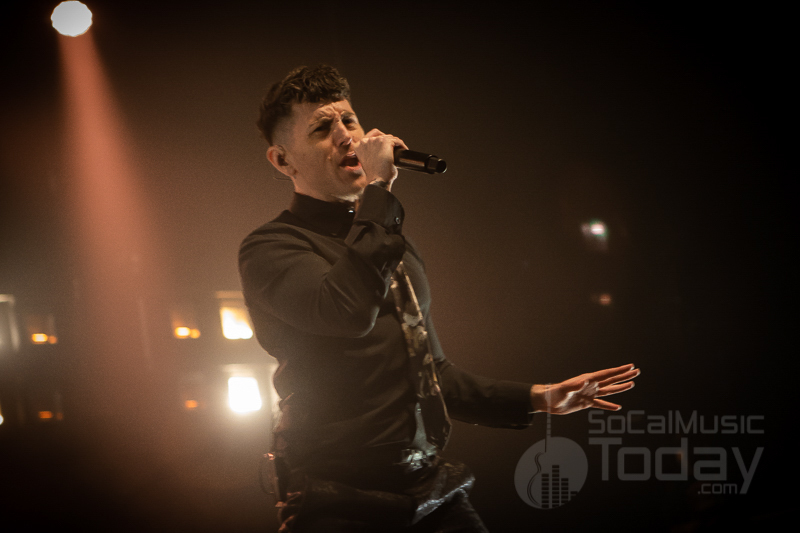 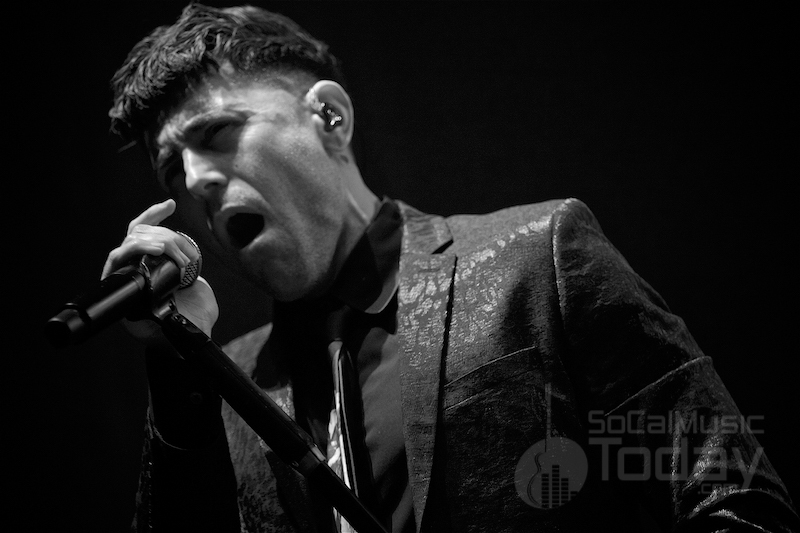 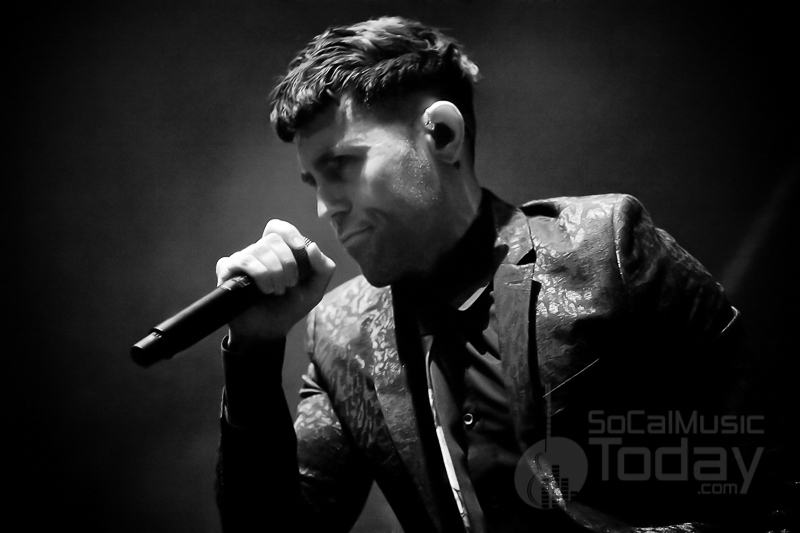 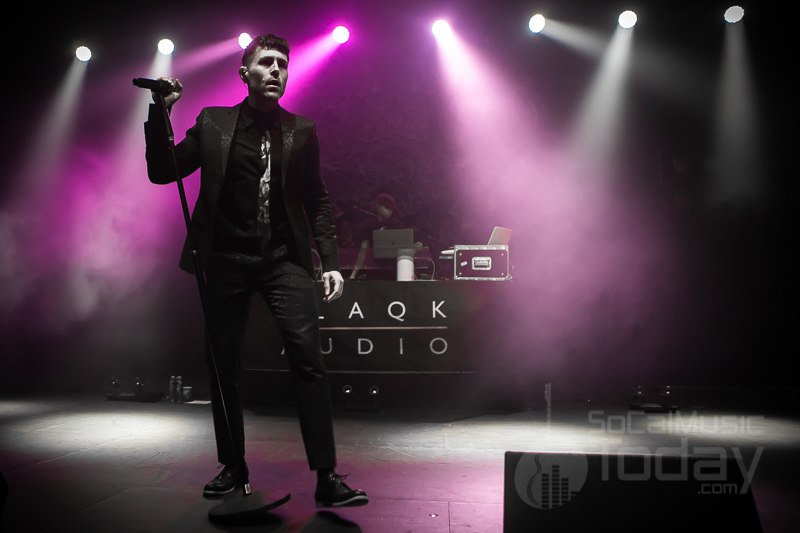 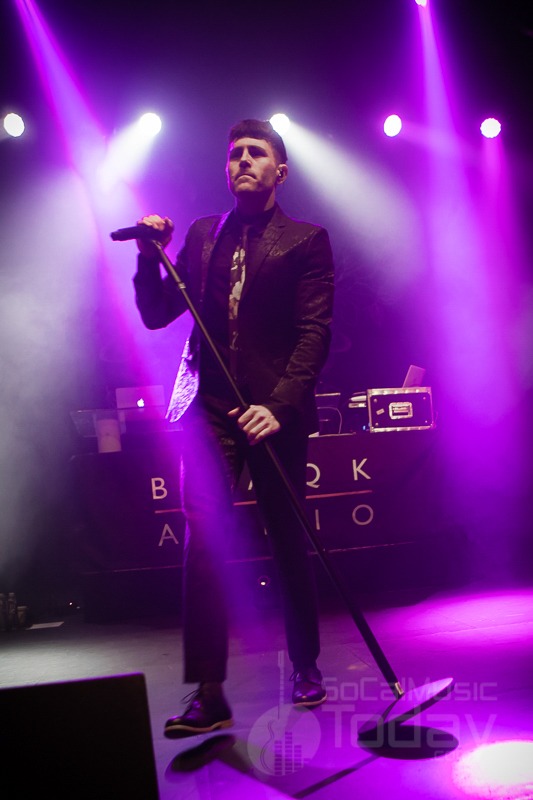 Although the duo of Davey Havok and Jade Puget are best known for their roles with the rock band AFI, they have devoted a fair amount of time during the past dozen years to their ‘80s influenced electronic side project. 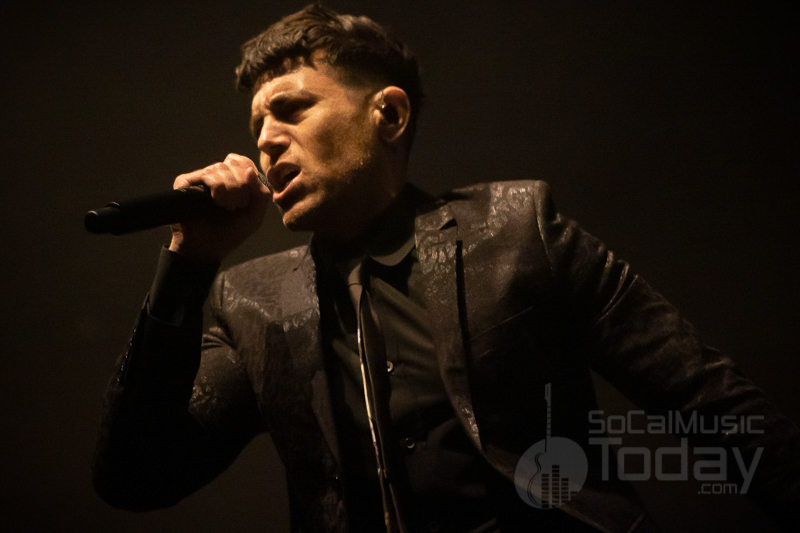 With live premieres of many new songs on tap, San Diego fans were rewarded with plenty of new material as well as fan favorites from the previous three albums. 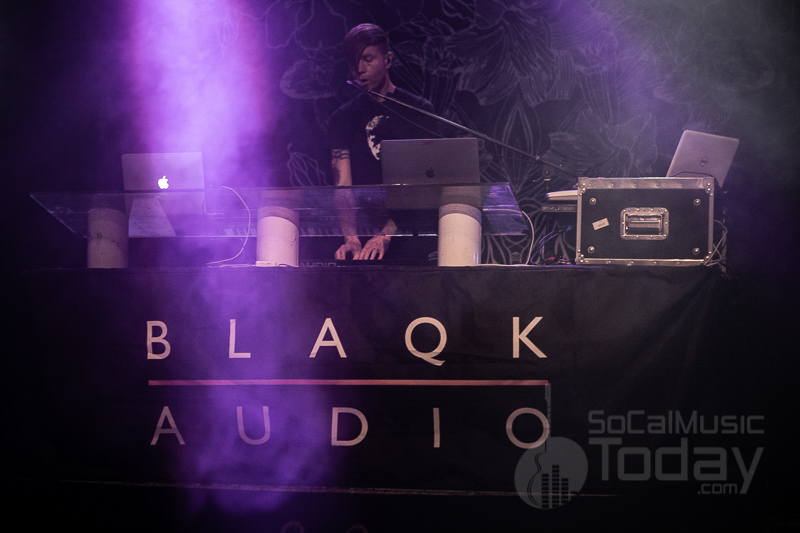 After a 30 minute opening set from LA-based band Silent Rival, Havok and Puget took to the dark stage. 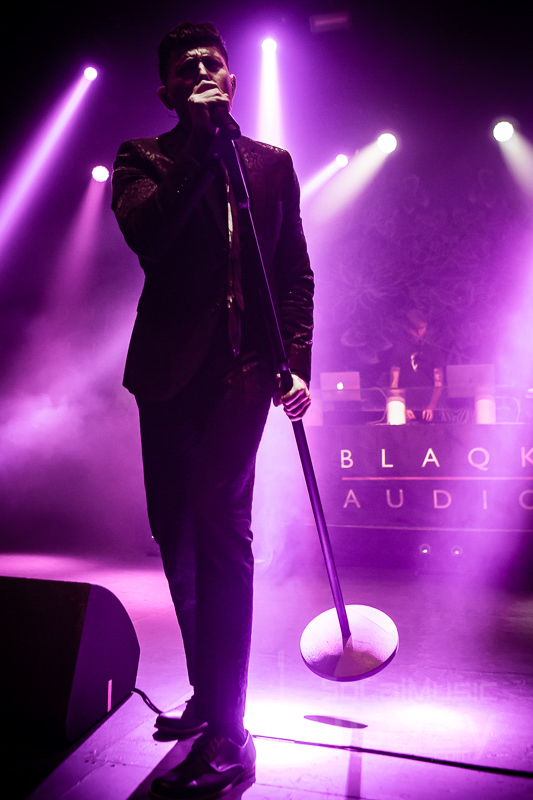 Decked out in an all-black suit Havok immediately launched into “The Viles”, the very deliberate lead single off their new EP. 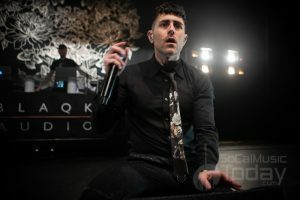 Per customary conduct, Havok did not stand still for very long throughout this song and for the remainder of the show. 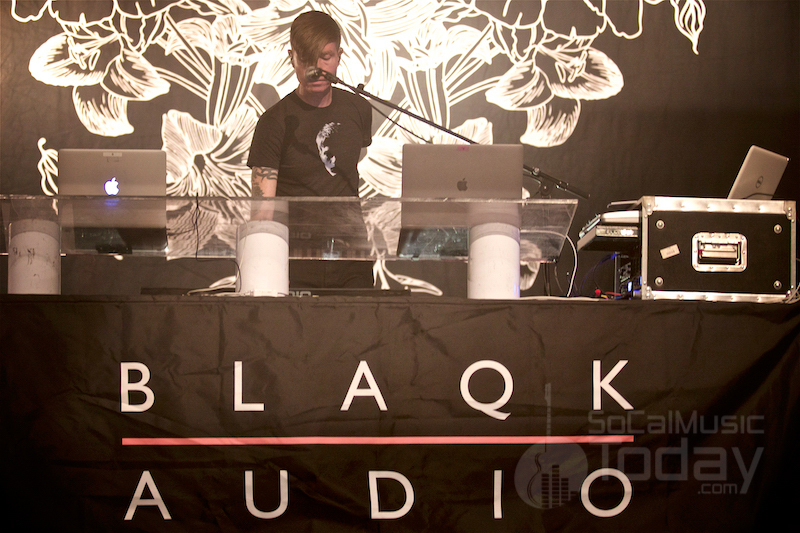 He covered every inch of the basically empty stage as Puget set up behind him with his various laptops and equipment. 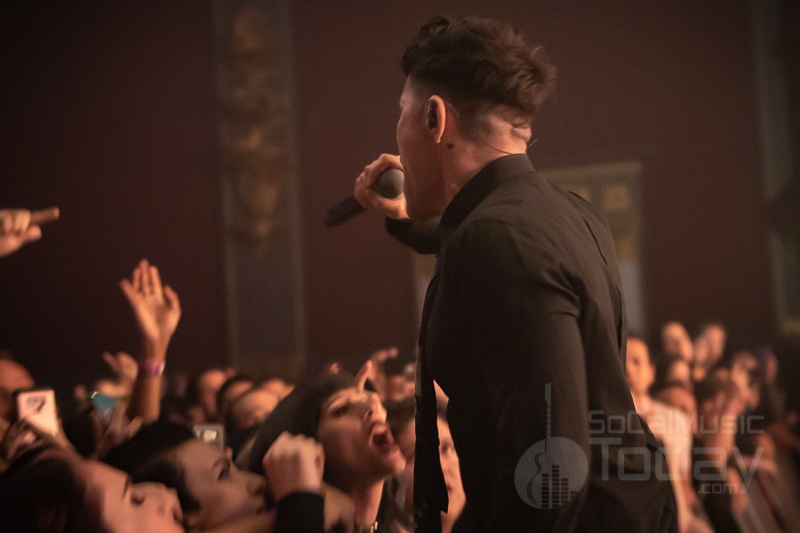 During “Anointed” Havok jumped into the barricade area to sing directly with fans in the front row of the general admission show. 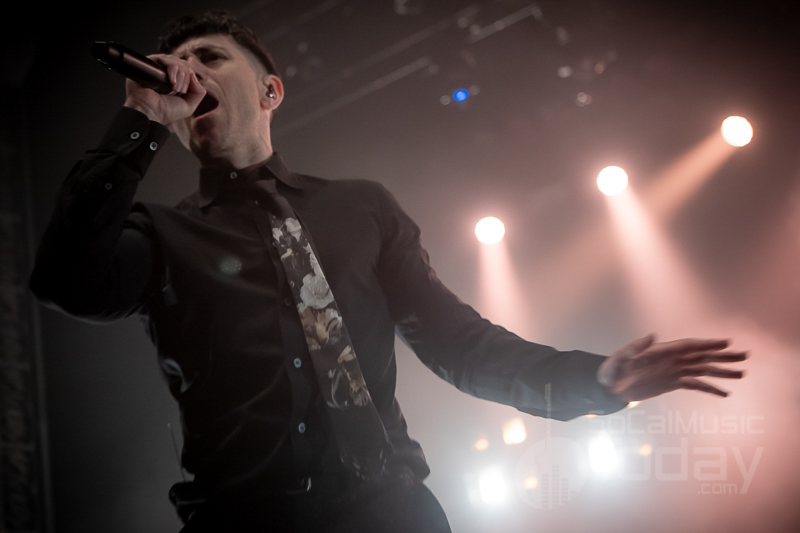 In all, four new songs off Only Things We Love had their live debuts this evening including “Ok, Alex”, “Caroline In The Clip” and “Unstained”, which is most likely the band’s next single. 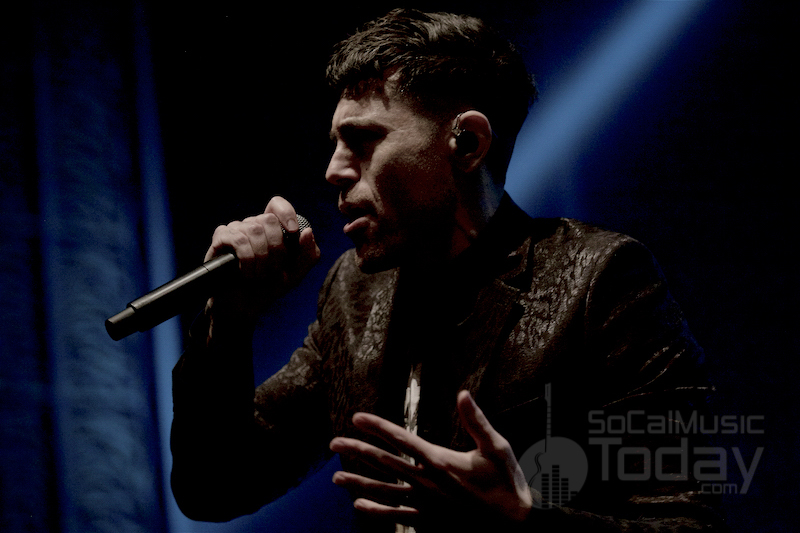 It was treated with an impressive light show, creating an amazing backdrop and only adding intensity to the hypnotic pulse of the song. 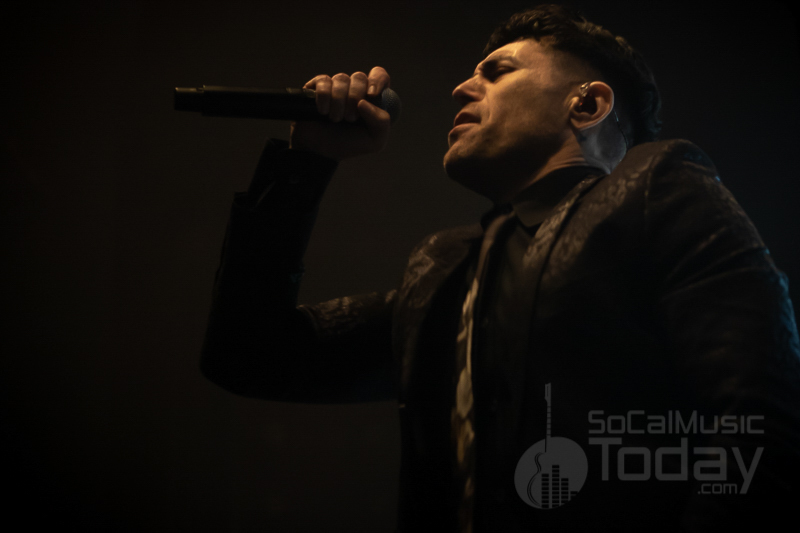 As usual, Havok was humble and appreciative to his devoted fans…even joking late in the set about “learning the new songs backstage” just prior to showtime. 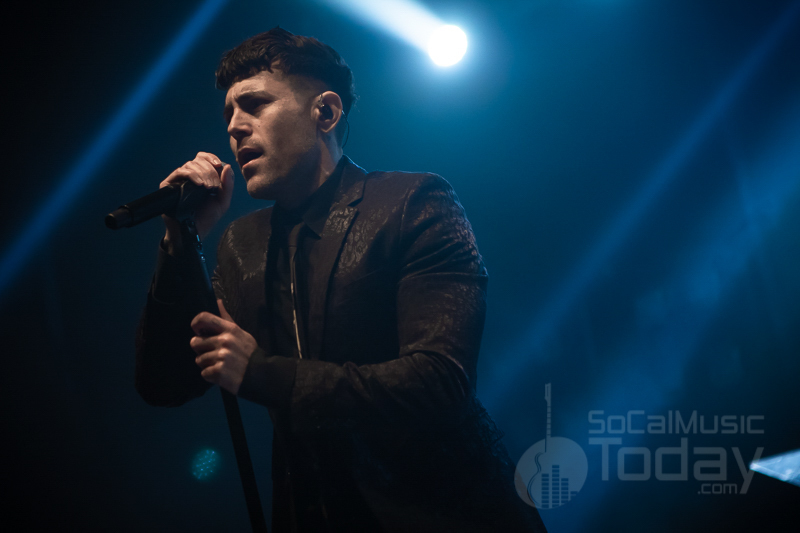 His theatrical and passionate persona makes it easy to see why fans are drawn to this busy lead vocalist, who (in addition to his primary role with AFI) is responsible for singing duties for Dreamcar and XTRMST. 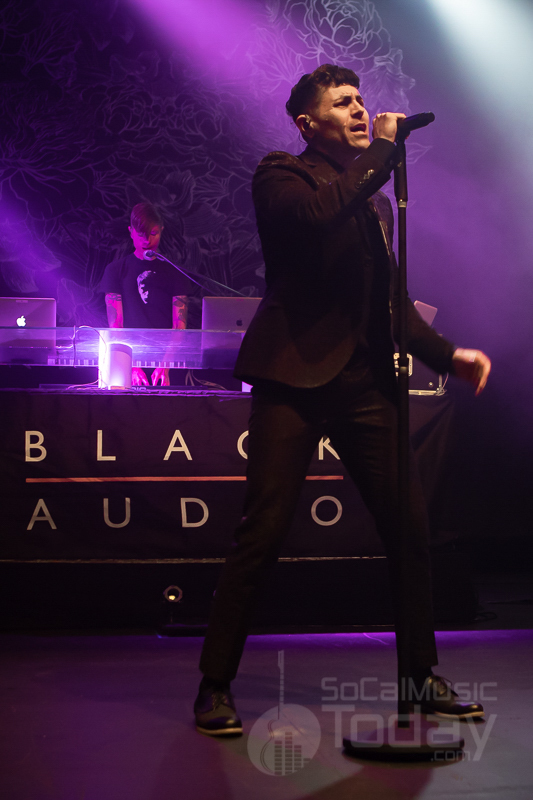 Older hits “Bon Voyeurs” and “Bitter For Sweet” helped drive the 16 song setlist toward completion. 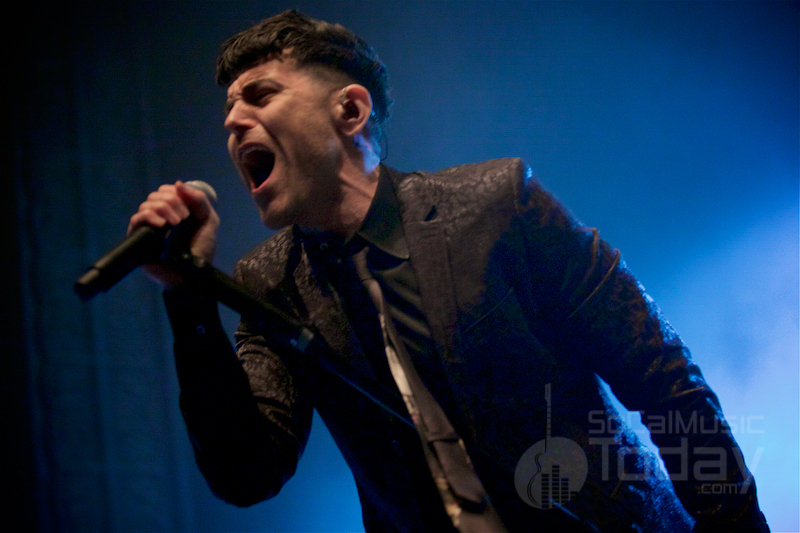 The opening bars of “Stiff Kittens” (the band’s first-ever single from 2007) was met with huge approval from the crowd and would eventually prove to be the final main set offering. 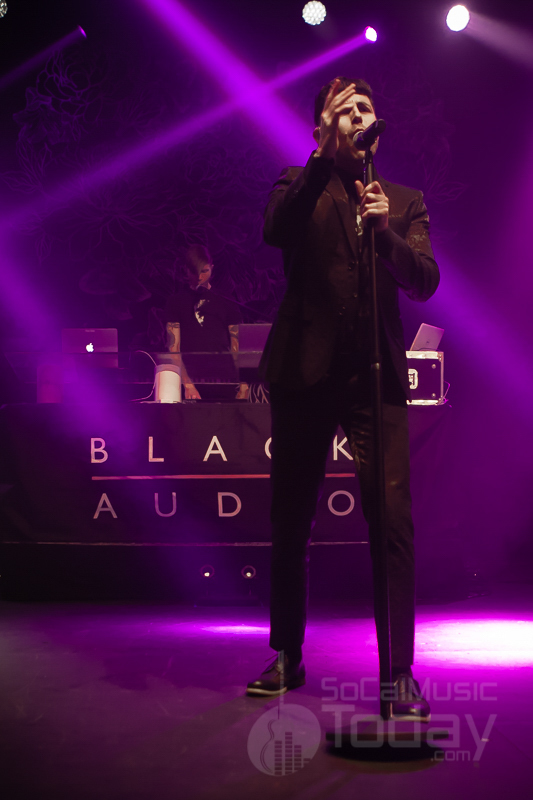 After a short respite, the duo returned for a take on the Dead Or Alive dance classic “You Spin Me Round (Like A Record)”. 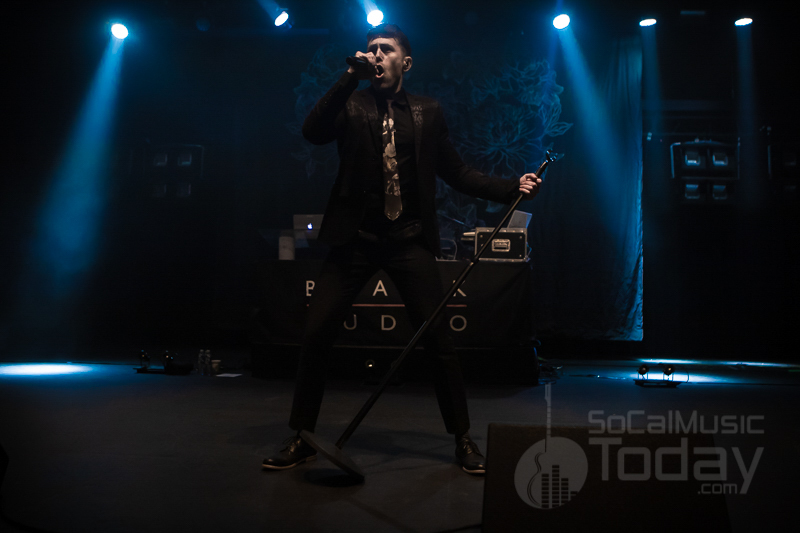 The theater was filled with mirrored light from a giant disco ball, creating the perfect ambiance for the 1980s monster hit. 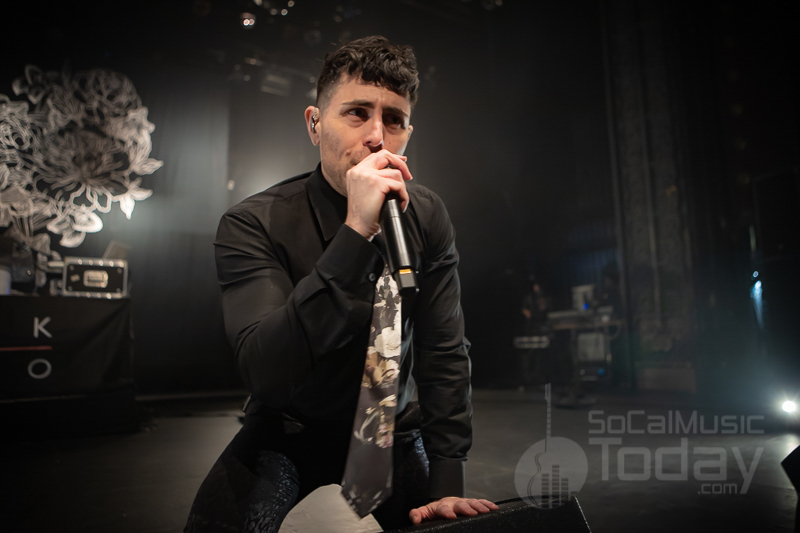 “Semiotic Love”, the band’s fastest RPM song finished off the night as Havok again returned to the pit area playfully asking the fans “I will ask you this, can you spare a kiss?”. 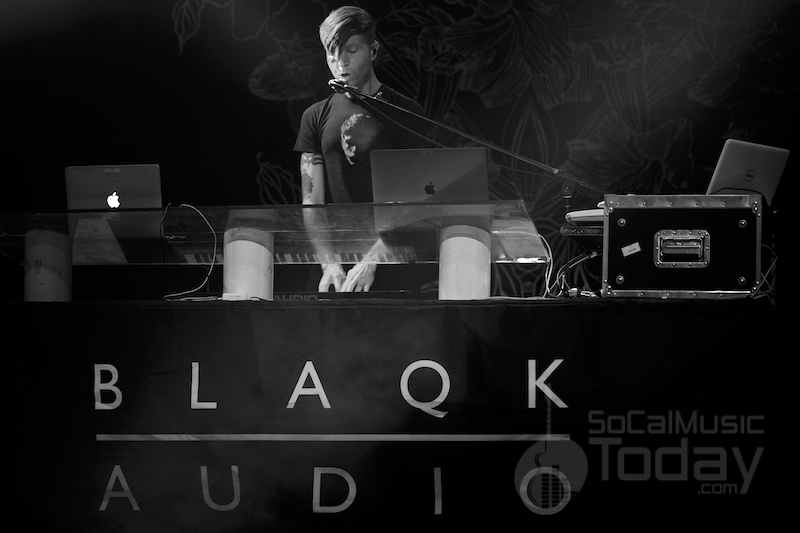 The sixteen date Blaqk Audio spring tour continues across the US, returning to SoCal on Friday, April 26th with a recently added show at the Yost Theater in Santa Ana. 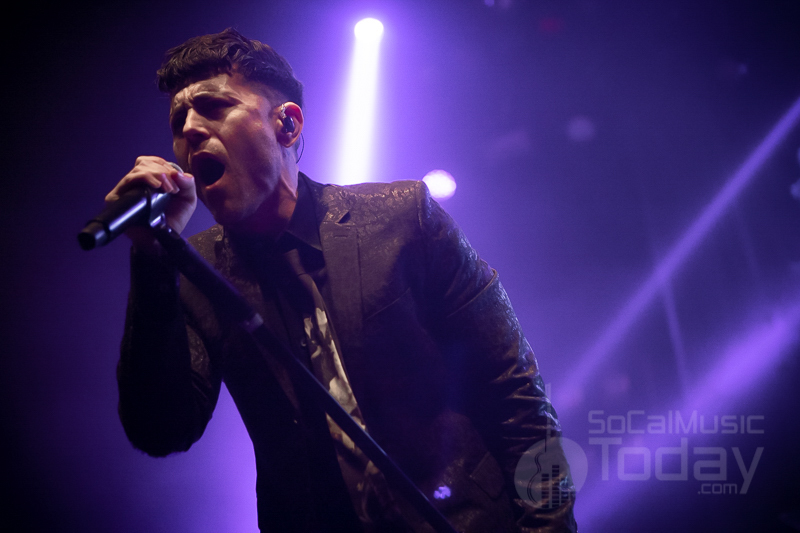 AFI will be opening support for the Smashing Pumpkins and Noel Gallagher’s High Flying Birds on their upcoming summer tour in August with shows scheduled for San Diego (North Island Credit Union Amphitheatre on 8/28) and Los Angeles (Banc of California Stadium on 8/30).